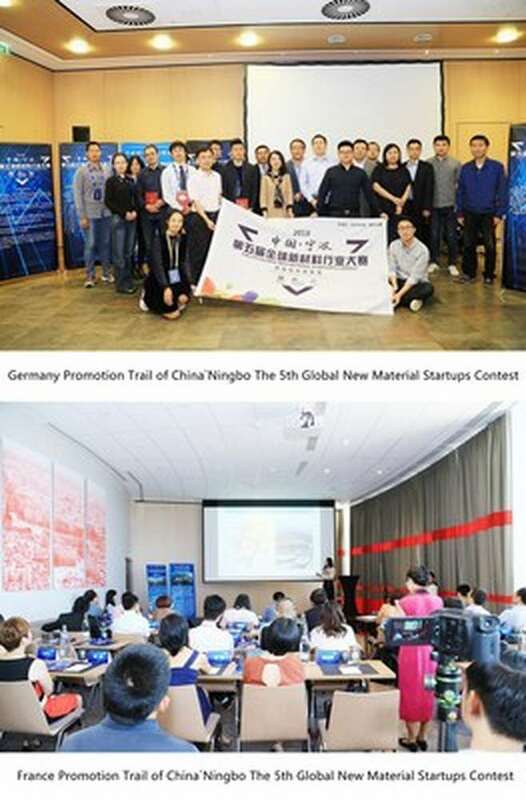 On June 27th and July 1st at local time, China venture capital and high-level talents service institution, Zhejiang Saichuang Weilai, held technology talents exchange activities in Berlin, Germany, and Lyon, France, respectively, in order to promote the capital exchange between China, Germany and France and introduce the market status and demand of China. The technology exchange activity is known as the 5th Global New Material Startups Contest in Ningbo, Zhejiang, which is held by Ningbo Government of China and Administration Committee of Ningbo High-tech Zone. Ningbo is located in the Yangtze River Delta of China and has an important port for global trade and is the port with the largest cargo throughput in China, and its international status is equivalent to Amsterdam in Europe. Both China and Germany have extensive industrial bases and cooperation opportunities in the field of intelligent manufacturing. The Prime Minister Phillipe of France visited China and signed relevant cooperation agreements with China in trade and technology innovation one week before the 5th Global New Material Startups Contest in Ningbo, Zhejiang, was held in Lyon, France. The Executive President of Zhejiang Saichuang Weilai Venture Capital Management Co., Ltd, Liao Yan, said that the Company looked forward to contributing to the promotion of technological innovation and investment cooperation between China and Germany and China and France respectively under the atmosphere of visits between China and Germany and China and France.